A Vegas-inspired casino, superior shopping, a luxurious hotel, top-notch entertainment, a relaxing spa, first-class dining, and a world-class golf course. Grand Falls Casino & Golf Resort® is the place to Live it Up!™ Grand Falls Casino & Golf Resort® is like no other destination in the Tri-State region. Every aspect of the resort is designed for one very special purpose -- your total enjoyment. The resort is loaded with exciting gaming, culinary delights, luxurious hotel rooms, top-notch live entertainment, a relaxing spa and one-of-a-kind shopping. Daily play golf reservations can be made 14 days in advance. Resort guests can make golf reservations 60 days in advance. Contact The Falls at Grand Falls Casino & Golf Resort at 712-777-7777 for more information and details on holding a golf outing at the course. One step into your hotel room and you'll know why we say, Live It Up! at Grand Falls Casino & Golf Resort®. Simply stated, there is nothing else like it in the region. Within minutes of your room, you'll discover our beautiful indoor and outdoor pools, indoor/outdoor hot tub, and state-of-the-art fitness center. Expect greatness when it comes to dining at Grand Falls Casino & Golf Resort®. Something is always cooking at Grand Falls Casino & Golf Resort®, and it's all very, very good. Enjoy a succulent steak or fresh seafood cooked to perfection in the quiet and elegant atmosphere of Ruthie's Steak & Seafood. Take your pick of flavors - Italian, Asian or comfort food - at Robert's Buffet. Daily nightly features. Grab a quick bite or sit back and enjoy a grilled to order entrée at The Big Drop Café. It's all good! That's the best way to describe The Big Drop Café. Delicious café favorites and grilled to order items served in a friendly and upbeat atmosphere where you are sure to enjoy your meal. While visiting Grand Falls Casino & Golf Resort®, we invite you to visit us at the Spa at Grand Falls! Life is hectic enough and here at the Spa it's our job to make your life easier. We start with our simplified menu choices and prices. Each professional service provider is trained to consult with you to help determine what treatment best suits your wants, needs, and even your mood at the time of your scheduled service. It can't get any easier, so pick up the phone and give us a call at 712.777.7822. We are expecting you! We also hope when you schedule services at the Spa that you take full advantage of our amazing complimentary amenities! Whether it's our whirlpool, steam room, infrared sauna, or our vichy style showers that include all your vanity amenities, you can't find a better place to Live It Up! in luxury than the Spa at Grand Falls! 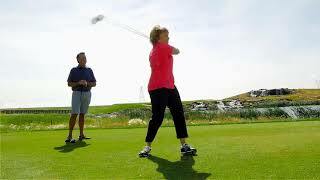 Watch the Grand Falls Casino & Golf Resort Video. This profile was last updated on 04/22/2019 and has been viewed 15,923 times.